What do you do when you come to the end of Shabbat and discover that you overbought on the challah on Friday? While this rarely happens in my house, there have been times when I’ve bought extra challah when entertaining and it wasn’t devoured as usual at the Friday night table. 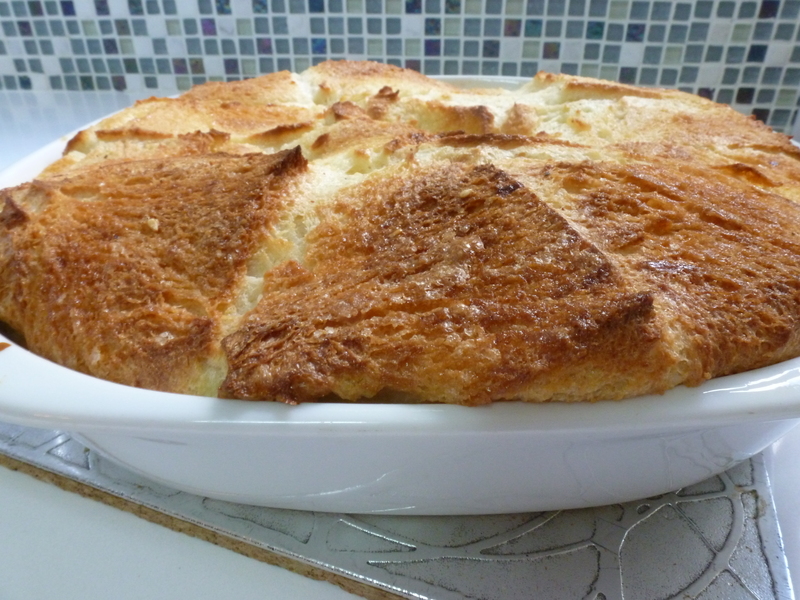 Never a problem: Leftover challah in my house means bread pudding. I can’t think of too many desserts that are this easy and taste this good. The hardest part of the process is slicing and buttering the bread, so how hard can it really be? And the results speak for themselves. This dessert can be served hot or cold (I prefer it hot), and is guaranteed to have your kids salivating at the oven, waiting for it to be ready. You can doll it up with raisins and cinnamon, but I prefer it simple, with the “custardy” taste of the sweet cooked egg mixture taking the starring role. I know it’s coming up on Pesach, and bread pudding is probably not something that you will put on the top of your priority list. But chances are that you have a challah lying around in your freezer that you’re going to have to get rid of, so instead, thaw it out and make this pudding. Your family will thank you. 2. Thoroughly butter a large baking dish (about 30 cm/12 inch in diameter). 3. 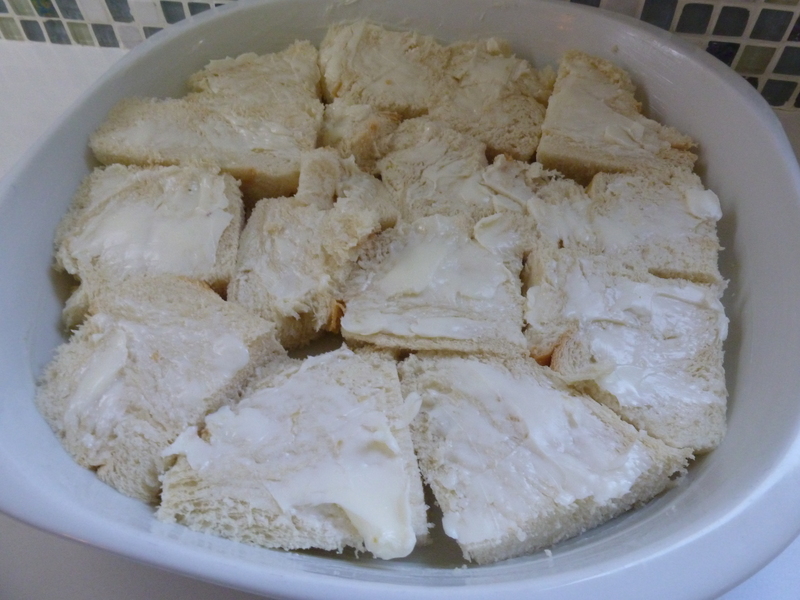 Slice each piece of bread in half and generously butter one side. Place each piece buttered side up in one layer at the bottom of the baking dish, making sure the whole surface is covered with bread. Slice more bread if required and push smaller bits of bread into any remaining spaces. 4. Whisk together the eggs, sugar, milk, vanilla and nutmeg till combined. Pour the mixture over the bread. Sprinkle each piece of bread lightly with some extra sugar. 5. Place the dish in a large oven tray (preferably one that slides into the railings on the side of your oven). Put it in the oven and pour hot water into the oven tray (not into the baking dish! 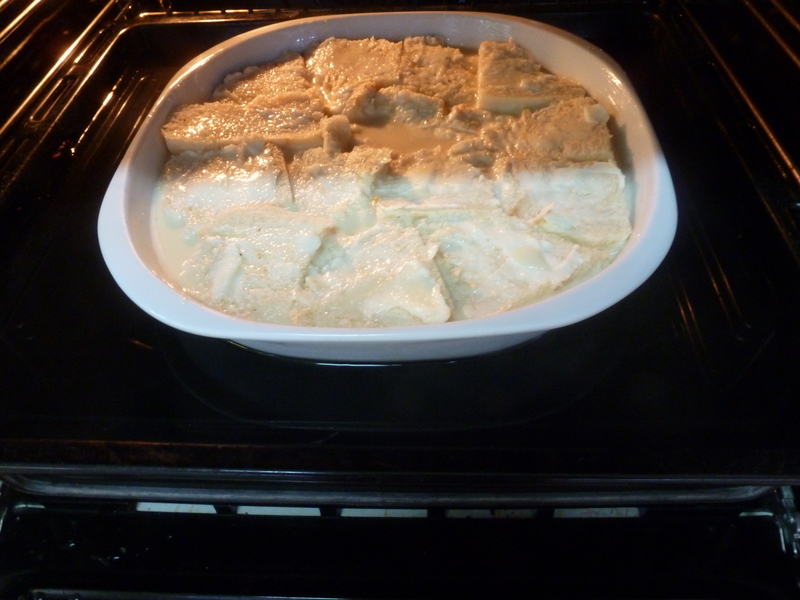 ), until the water come about halfway up the side of the baking dish, creating a “bain marie”. This will keep the pudding from drying out as it bakes. Turn down the oven to 160°C (325°F) and bake for 40-45 minutes or until the pudding is golden brown. It will puff up in the oven, and will then sink a little when it cools, so don’t worry – it still tastes great. Serve hot or cold. Serves about 8.